Microdosing is the latest trend to hit cannabis consumption. You’ve probably heard friends or colleagues talk about taking low doses of cannabis extracts to reap the health benefits without the risky side effects that come with habitual smoking or vaping. But what exactly is microdosing, and how do you take a microdose of cannabis? Read on, and watch the video below, to learn why this trend is taking over the cannabis world and how you can try it! How Can I Try Microdosing? What Products Can I Microdose With? People who question the validity of using cannabis as medicine point to the inability to recommend a set dosage. Most over-the-counter medications like aspirin or laxatives produce a predictable range of results with a set dose; typically, one to two pills at predetermined intervals. But marijuana is different. Instead of blocking pain receptors or directly impacting gut motility like those medications, cannabis targets our body’s endocannabinoid receptors – CB1 and CB2 along with our TRPV1 and GPR55 receptors. The endocannabinoid system, and thus the effects of cannabis use, can vary widely from per person. Many people using cannabis for specific medical treatments may not know their right dose, resulting in overconsumption and negative psychological and/or emotional reactions. If you’re a novice who accidentally (or intentionally) takes too much, you’ll probably think and feel like the end is near. That’s why it’s important to establish a controlled dosage, or microdose, to ensure you get the most of our your medication. Microdosing is the practice of consuming a very small quantity of a substance. The goal isn’t to feel intoxicated; it’s to induce medicinal benefits with minimal – if any – psychotropic effects. Some experts believe that microdosing cannabis may help manage pain, improve sleep, boost mood, and curb stress, depression and anxiety. The practice of microdosing is thought to be more beneficial than smoking or vaping in excess, mainly because over intoxication can lead to anxious thoughts, emotional discomfort and paranoia. If you’re medicating to feel calmer or more relaxed, inhalation may do more harm than good. And if you’re new to cannabis, that single negative experience may turn you off from cannabis altogether. Many people turn to microdosing to treat specific conditions. Some who are new to cannabis try it to ease into regular cannabis consumption. Others microdose to enjoy the beneficial effects like relaxation and stress relief without becoming incapacitated. This is growing increasingly common among parents who want to improve their health and well-being while still caring for their children. The great thing about microdosing marijuana is that anyone can try it! Whether you’re treating a debilitating condition or simply interested in enjoying cannabis safely, microdosing is an ideal option for everyone. Microdosing THC is a great way to dip your toes into the legal cannabis waters without going overboard. But THC is just one of many cannabinoids found in cannabis, and it’s hardly the most important when treating medical ailments. One of the cannabinoids gaining popularity over the last few years has been Cannabidiol, or CBD. While CBD is a non-psychotropic cannabis component (you won’t feel intoxicated), it does much more than its intoxicating counterpart, THC. Some studies suggest that CBD may help manage epileptic seizures, treat anxiety disorders, and control pain/inflammation associated with arthritis. A few studies even suggest that CBD may act as a neuroprotectant in individuals prone to neurological disorders, though further clinical studies are necessary. The best way to try out microdosing is to start “low and slow” with your cannabis consumption. Low doses are generally recommended when it comes to consuming edibles or tinctures. Some experts suggest consuming between 1.0 and 2.5 mg of cannabinoids (like THC or CBD) in order to enjoy the baseline benefits without the anxiety or lethargy. Tinctures are a great way to do this. They’re typically made from cannabis that’s been extracted into alcohol or olive oil. The bottle often comes with an eyedropper, allowing for more controlled consumption than cutting cookies or brownies into smaller pieces. These infused elixirs are also preferred over edibles because the body absorbs them faster. Instead waiting one to two hours for your body to digest, a topical is rapidly absorbed by the mucous membranes and capillaries under the tongue and along the gums. Dr. Allan Frankel, a L.A. doctor of internal medicine, suffered a viral heart infection so he began using cannabis. Just a year later, his heart was healthy again. While it’s hard to pin down the exact role cannabis played, Dr. Frankel has become an outspoken cannabis advocate – particularly microdosing. He recommends avoiding cannabis use for two days to give your endocannabinoid system a break, especially if you’re a regular consumer. Then assess how you’re feeling using three self-evaluation inquiries on a scale from one to ten: your ability to breathe, overall comfort/calmness, and the ability to genuinely feel happy and satisfied. Write down your responses then orally take one milligram each of THC and CBD (micro smoking or vaping are also options). Wait 45 minutes before performing a second self-evaluation. If you don’t report any improvements, take another two-milligram dose and do another evaluation in another 45 minutes. Continue this routine until you feel baseline improvements in calmness, comfort, and happiness. Fortunately, Nugg delivers plenty that you can microdose at home! 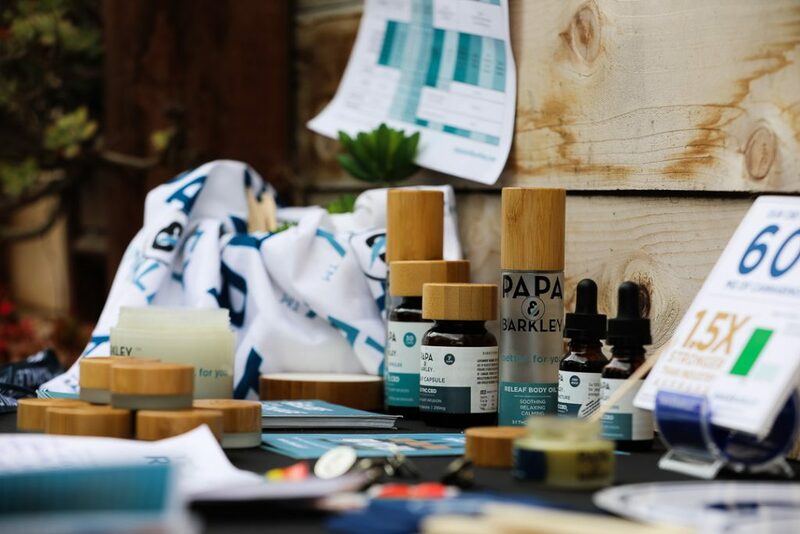 We carry quality cannabis products made by reputable brands like Papa & Barkley, which produces both 1:1 and 3:1 THC:CBD tinctures, so you have even more precise control over the cannabinoids you ingest. Intrigued? Watch our review below to get an in-depth look at their tinctures. 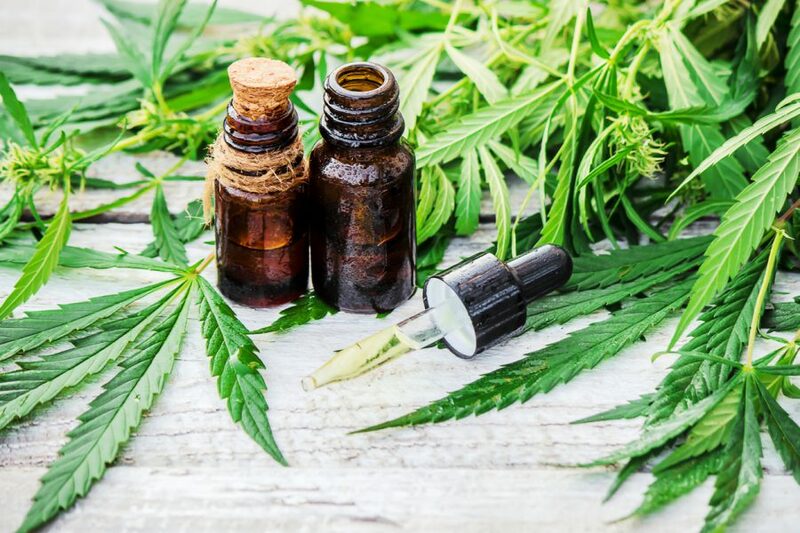 Check out these other companies offering CBD-rich tinctures: Humboldt Apothecary, Select, CBD Alive, The Farmaceuticals Co., and Venice Cookie Company. Still not sure where to begin? Just ask! One of Nugg’s Cannabis Concierges is ready and able to answer your questions, make recommendations, and guide you towards the right product for your needs. Place an order online with Nugg and start microdosing CBD to see how this non-psychoactive cannabinoid can improve your life today. Thank you for the article – I wasn’t aware of the microdosing trend as it applies to cannabis use. Just one clarification for readers is in order, though, mainly that the medicinal effects will be at best unknown with respect to whether mocrodosage amounts in THC, and especially so for the medicinal research on CBD that you cote. From the humble knowledge we do have from medical research to date, anxiety is umagfected or perhaps worsened by THC, and though CBD looks more promising it requires doses of 300mg or above for clinical anxiolytic effects to occur. Still, as medicine has spent 100 years establishing evidence of the negative effects of cannabis use, the fairly recent aperture expansion of total health and medicinal effects is surely incomplete – so until we reach conclusions on the pros and cons of marinuana, I believe that using a cautious, methodical, and mindful self experimentation approach is the best way to find out how cannabis affects each of us individually, and will best offer its boundless benefits while minimizing any unwanted effects.